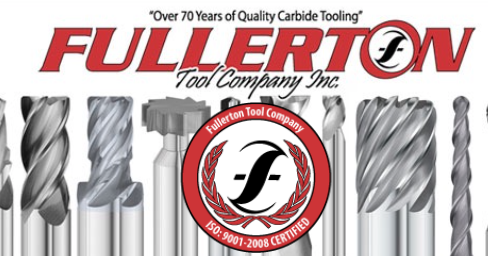 Fullerton Tool’s high performance, solid carbide 3500 series end mill is very versatile and capable of high speed machining or full diameter milling as it is a unique solid carbide tool that dominates in stainless steels, high temp alloys, and titanium. Versatility equates to higher productivity, less tool changes, and longer tool life. The 1595 S-Drill is Fullerton's newest advanced performance coolant fed, double angle point drill. The S-Drill has a special polished flute for better chip flow and comes with Fullerton's FC-7 coating. The S-Drill is Fullerton's go to drill for stainless steels and steels and can also be used in cast iron, titanium, super alloys, and aluminum. 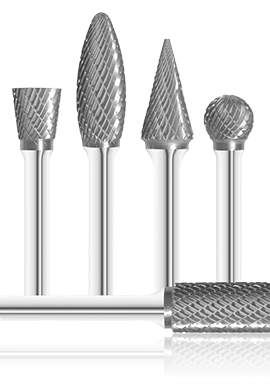 Fullerton Tool offers an extensive selection of industry standard and specially designed carbide burrs. Burrs (sometimes called Rotary Files) are rotary cutting tools used in many industries and materials. They are similar in design to end mills and are often used in removing burrs from castings.